You'll love the realistic detail on this one - you can almost see each and every shred of coconut, and in our beautiful shade of purple to welcome the Easter Bunny! 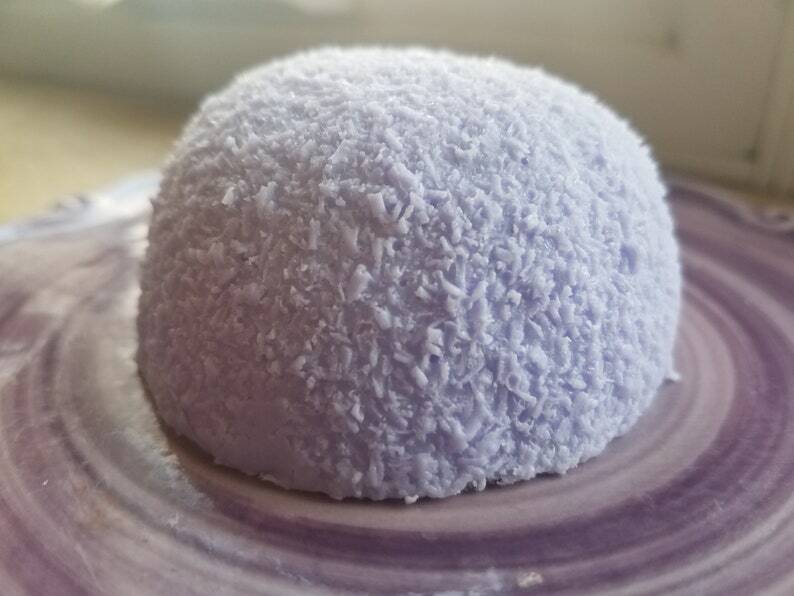 Each weighs over 4 ounces and is scented with our Coconut Cake fragrance - delicious! You'll receive 1 cake soap with this listing - classic pink and white are also available. Beautifully packaged for gifting! Great party favors and holiday gift ideas! For your convenience, we always combine shipping charges on multiple items! Shipping overages will be refunded back to you once your items are packed and ready to ship.